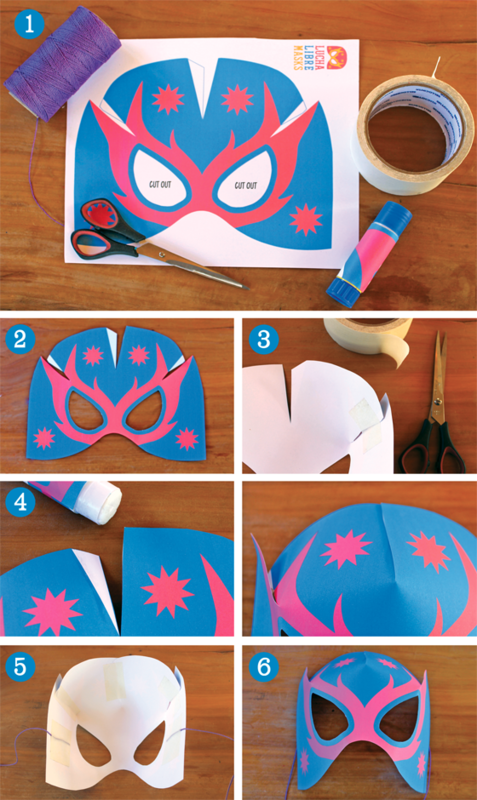 Step by step photo tutorial on how to make Lucha Libre masks and template to download. How to make Lucha Libre masks. Mexican Luchadores or wrestlers are known for their colorful masks, rapid, acrobatic wrestling style, and their high flying moves, and Lucha Libre masks have developed special significance. They are used to mask the true identity of the luchadores, which is kept a secret. On rare occasions the loser of the wrestling match must remove his mask – an incredible dishonour for a luchador. 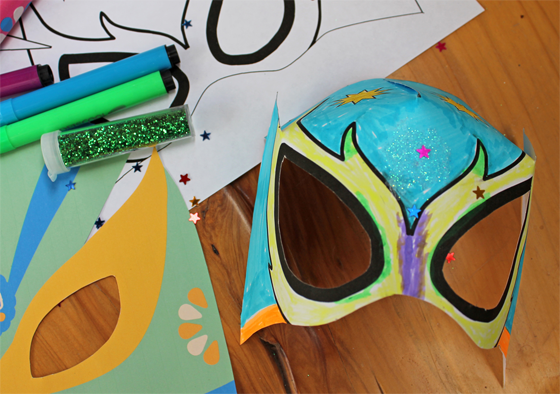 How to make a Lucha Libre mask – tutorial + template to download! 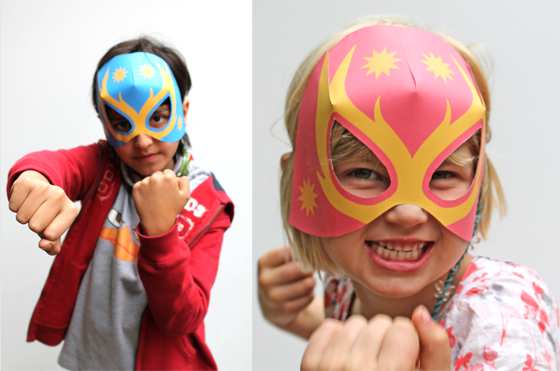 So… to celebrate Cinco de Mayo we had a go at making some printable 3D Lucha Libre mask templates! 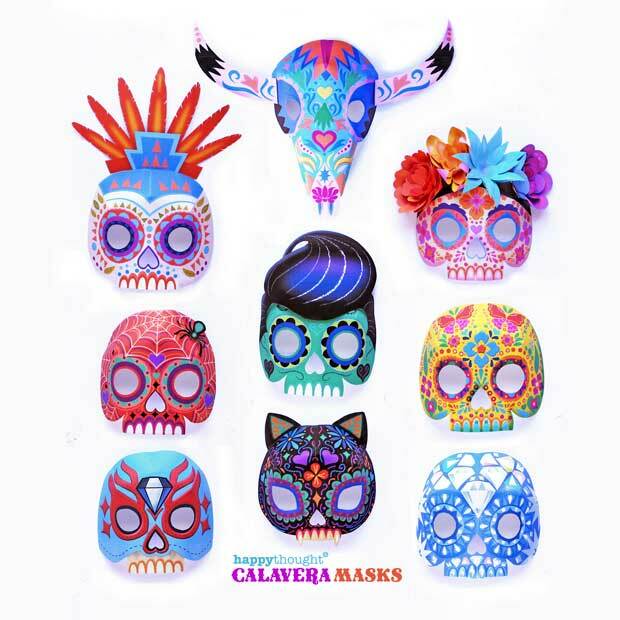 The bright colors and designs of the masks often pay homage to ancient traditions and beliefs. Legendary Luchador El Santo is renowned for having been burried in his lucha libre mask. 1. Print out the template. 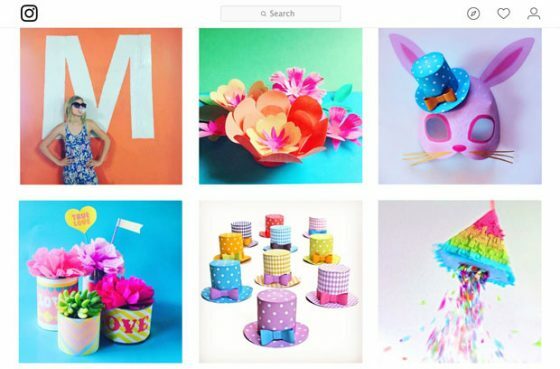 You will also need scissors, a glue stick, masking tape and some string or ribbon. 2. Cut out your template. If you like you can add some glitter and sparkles to your mask. 3. Stick the two side panels with masking tape on the back of the mask as shown. 4. Glue the middle panels together with a glue stick. Secure on the back with masking tape. 5. 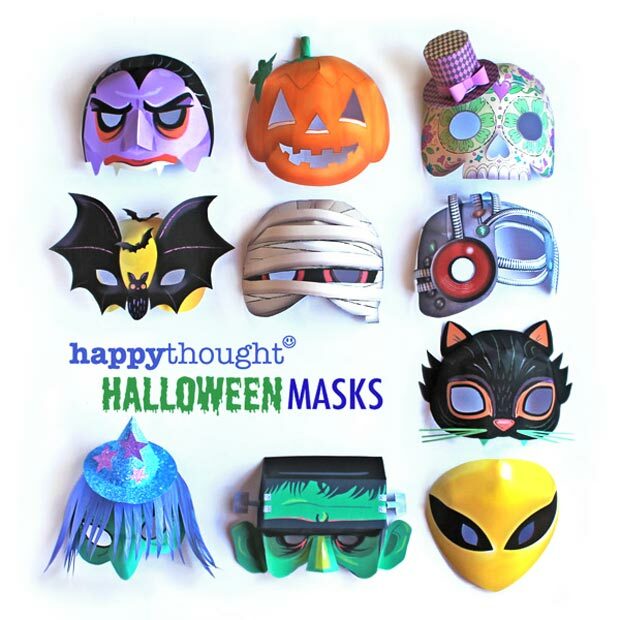 Attach a length of string or ribbon on either side of your mask, or a stick to use as a photo prop. 6. Hooray! Your 3D paper mask is ready. Let’s wrestle. Raaaa! You are now a Luchador! Are you also looking for the Lucha Libre mask color-in template featured in the photo below? You can get it as a part of our Cinco de Mayo party printables pack. Also included with the color-in mask template are 5 other Lucha Libre mask template designs + a mask assemble instruction sheet. Color-in your own lucha libre mask with our printable PDF template! Lucha Libre (literally “free wrestling”) began officially in the early 1930s. By the 1950’s televised matches were broadcast and the sport became a national obsession, with many of the luchadores becoming household names and even masked movie stars! 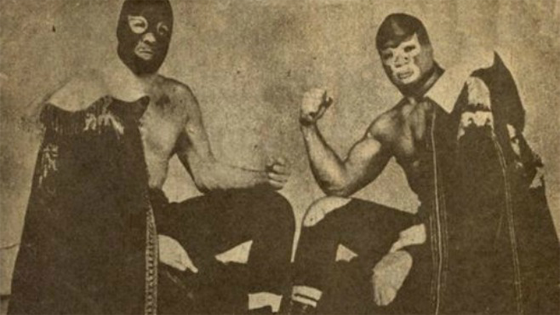 This vintage Lucha Libre picture above comes a blog article from a Professor Witney Seibold. He takes you on a guided tour of the Mexican wrestler movie genre! 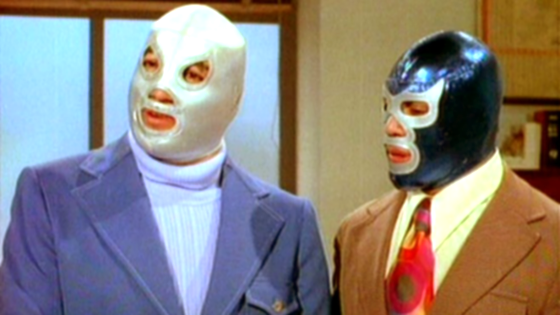 Old school Lucha Libre stars El Santo, in the silver mask, and co-wrestler Blue Demon appearing in a Mexican telenovela! If you have any feedback or comments, we would love to hear from you. Included in our Cinco de Mayo offerings are ‘printable coloring pages‘, and a ‘How to make a pinata tutorial‘ plus a free printable template. You can find out a little about the history of this fun celebration and the answer to ‘What is Cinco de Mayo?‘. In Spanish and English, 10 printable worksheets for schools, home schools and learning centres. Three questions and answers – Map of Mexico, Crossword puzzle, Find the missing words. Word search – 12 words to find. Mexican flag – Color-in and make a Mexican flag. Three color-in worksheets – A mariachi, a luchador and a piñata shaped as a donkey. Our worksheets contain activities and questions about Cinco de Mayo appropriate for children at the level of kindergarten, elementary, first grade, 2nd grade, 3rd grade, 4th grade and middle school. All Q&A worksheets include answers. The ten printable PDF sheets are designed for teachers and parents. We have produced them in black and white so that they don’t use too much toner when printed or copied. 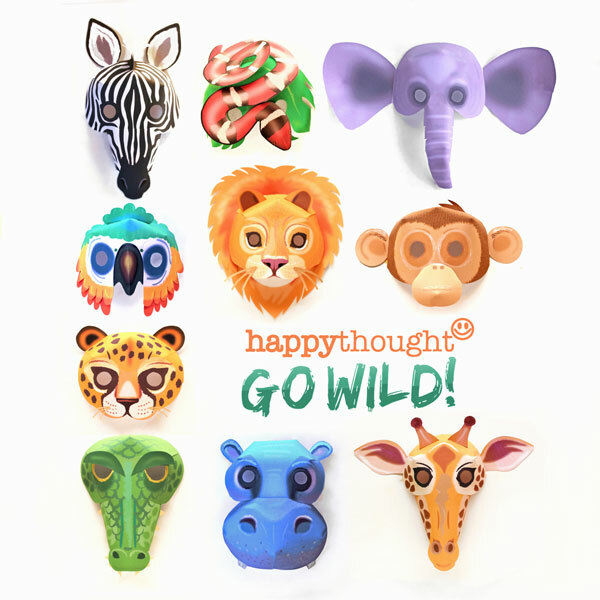 As well as our colorful printable masks we thought it would be fun to include a blank 3d paper masks template to color in yourself. 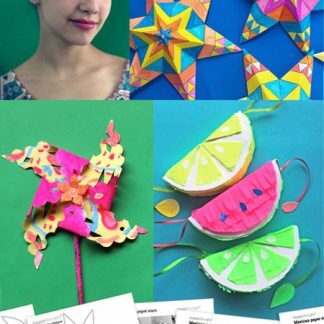 Make a paper flower crown , papel picado decorations and a lucha libre face paint tutorial. 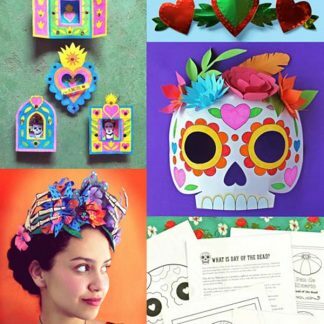 Paper calavera mask template, paper flower video and paper star decorations to colour in. 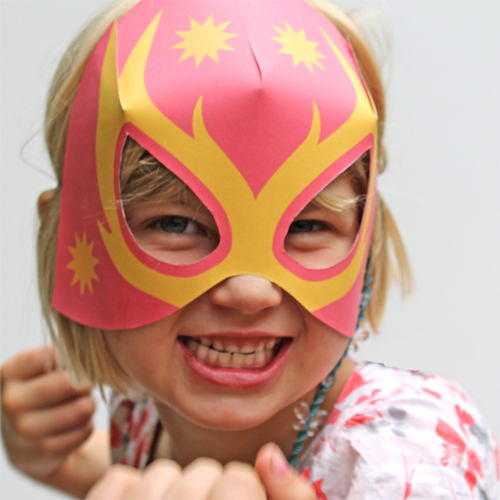 We hope you enjoyed How to make a Lucha Libre mask! If so, please give us a little love; by liking us on facebook, pinning us on pinterest or following us on twitter. Thank you! I am going to love seeing my 2 sons dressed up in these lucha libre masks. My eldest is 12 and my youngest is 6 yrs old … perfect printable templates! 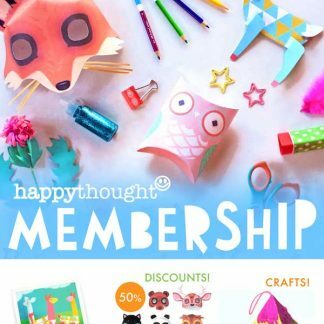 Love this free printable and love the site. Free and simple! 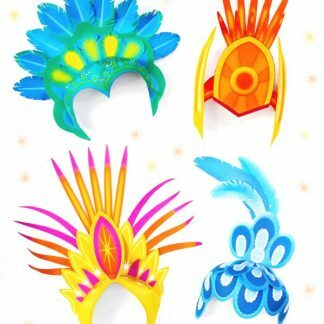 I am an art teacher, and we will make these masks for our unit on Mexico! 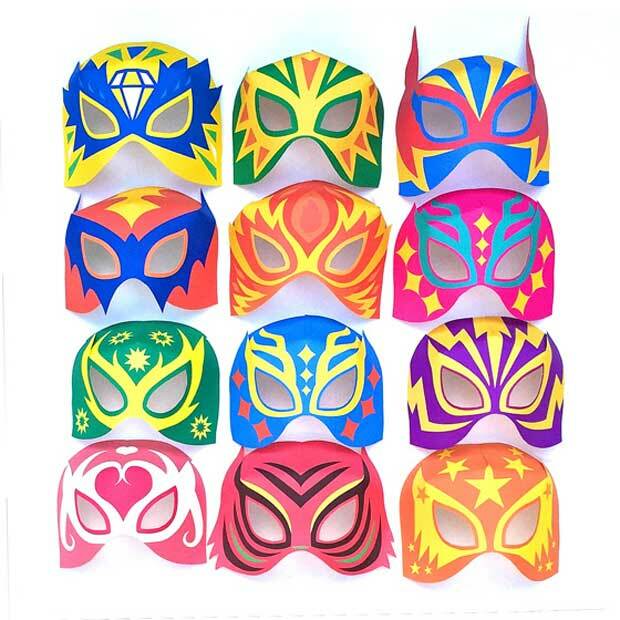 I will use these lucha libre mask printables with my students in the K-6 Spanish program. I was just wondering if you had a black and white (uncolored) version of the masks? I would like to be able to color them in. Thanks! 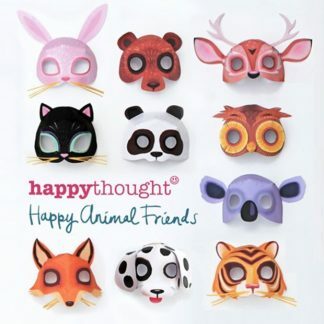 Fab idea, I want us to make these printable mask templates for our after school club activity! I can’t wait to use these for my baby shower fiesta. 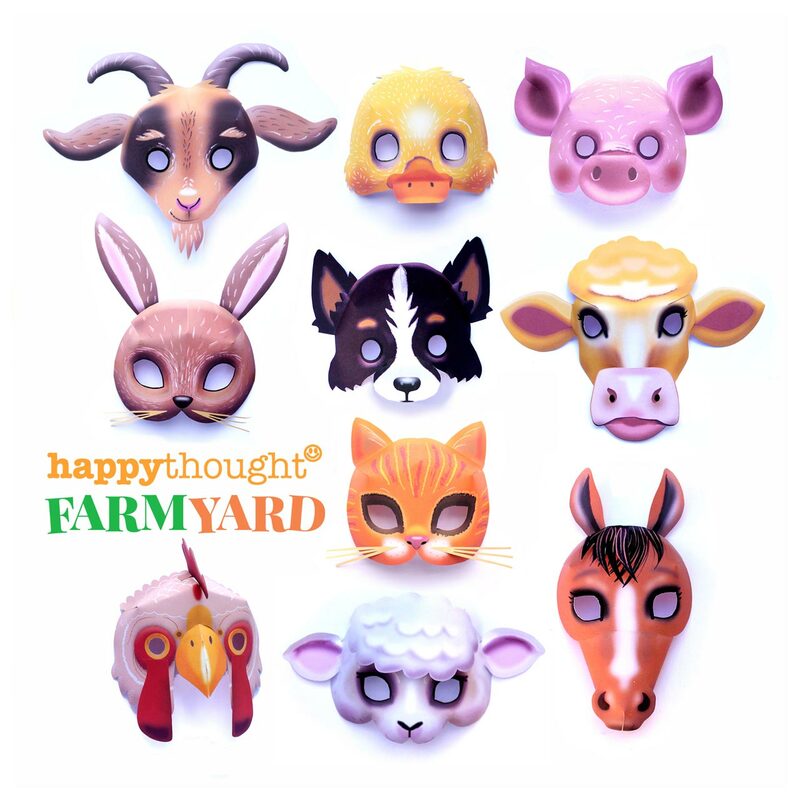 These masks are so cute. These look fantastic! We are having a Mexican party on Saturday! Absolutely culturally great for native speakers in the classroom. Inclusion applied. Easy to download to my email. Great idea thanks!!!!! I absolutely love these! I’m going to add your link to my Facebook page for all to enjoy on Cinco de Mayo! You’ve also inspired me to design a Candy Table around this theme! I teach Spanish and am always looking for ideas. me encanta! yo veo que te gusta mucho Mexico.. muchas gracias. Thank you. It will make our boys busy and happy on wednesdays. Not familiar but looks great – we will check them out!